After 18 months of planning and consultations with hundreds of faculty members, students, and external thought leaders, an out of the ordinary academic event emerged. 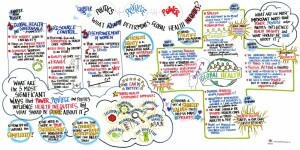 The Dalla Lana School of Public Health’s inaugural Summit, was a bit of a hybrid – part strategic planning workshop, part symposium showcasing some extraordinary thought leaders, and part debate using a multitude of formats (talk shows, arm chair, round table discussions) to solicit input from a diverse community of in-the-flesh and virtual participants. Designed to break down the traditional silos that so many of us tend to work in, the Summit challenged participants to develop an innovative, transformative and value-added agenda; encouraging collaborations among the ‘coalition of the willing’ – locally, globally and from multiple-sectors to take on complex problems with creativity, generosity, and boldness. 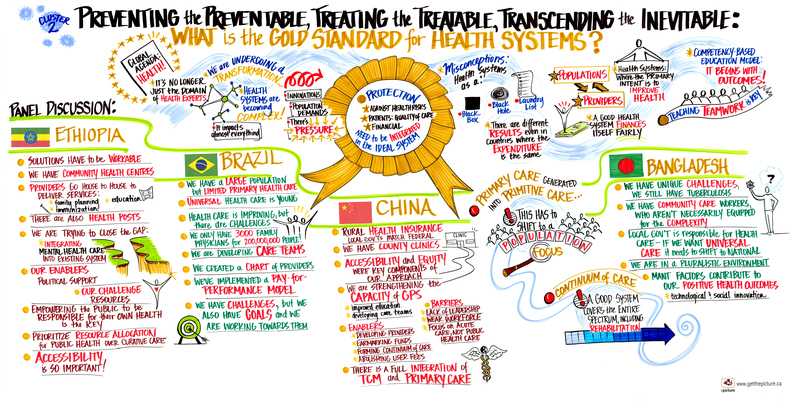 The Summit theme, “Creating a Pandemic of Health”, and the intentionally provocative attendant sub-themes were developed by an organizing committee of over 30 global health scholars, lead by four co-Chairs. Based on the working assumption that: “humans are becoming an urban species plagued by non-communicable diseases (incurable by definition), financial crises, social disparities, global warming and ineffectual polarized political structures that are threatening the sustainability of the species”, the foundational theme “Creating and Spreading Health” and the five sub-themes were designed to allow for maximum inclusion of potential participants in a ‘coalition of the willing’ to work together to redress the health inequities through innovation. 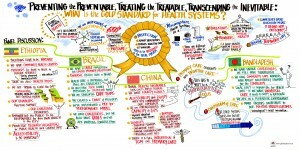 Preventing the Preventable, Treating the Treatable, Transcending the Inevitable: What is the Gold Standard for Health Systems? 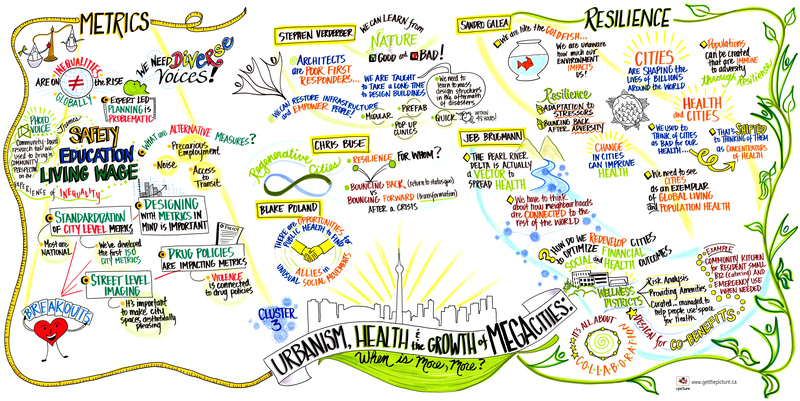 Urbanism, Health, and the Growth of Megacities: When is more, more? 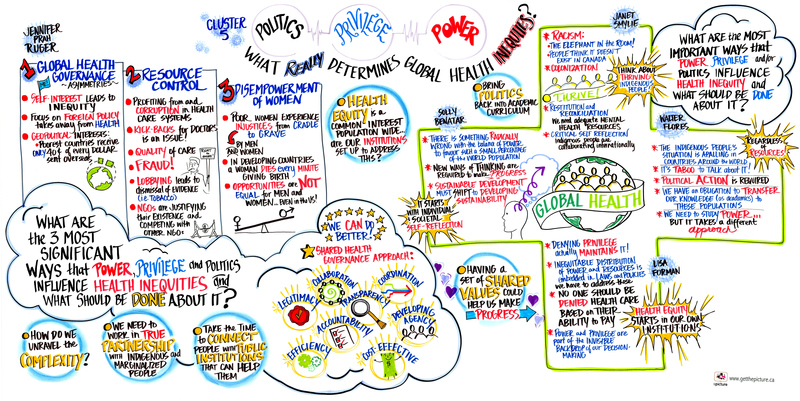 Politics, Privilege and Power: What Really Determines Global Health Inequities? 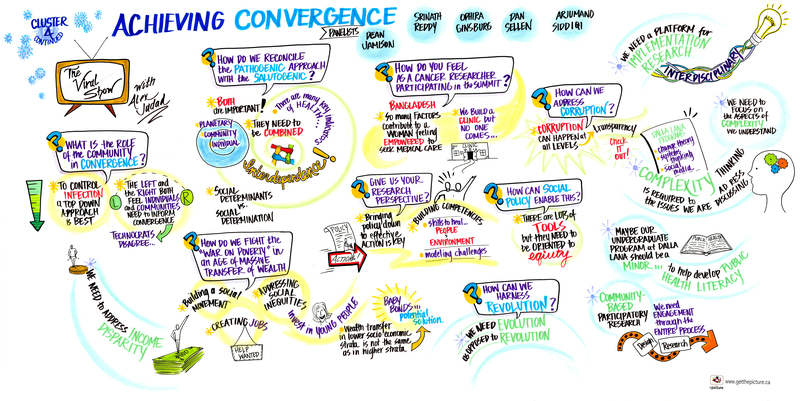 Achieving Convergence: What Kind of Life should Future Generations Experience? 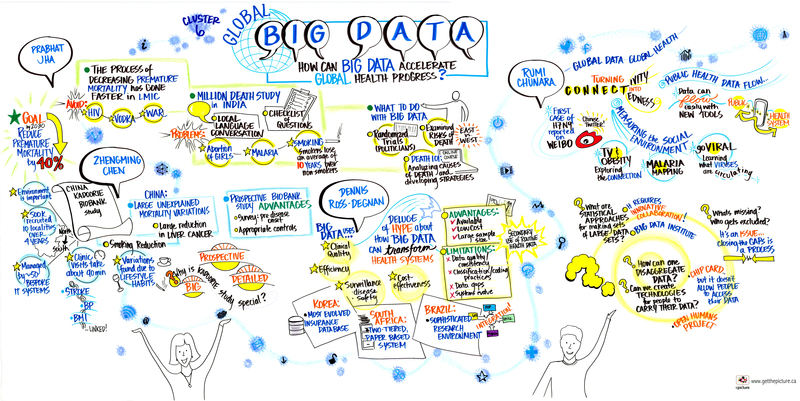 Global Big Data: How can Big Data Accelerate Global Health Progress? 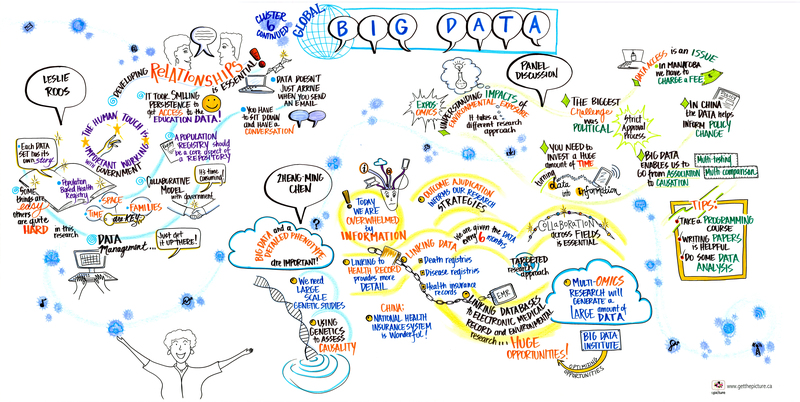 A sub-theme which highlights the promise of utilizing the enormous data at our fingertips to create health policies that improve equitable access to and quality of appropriate health systems. 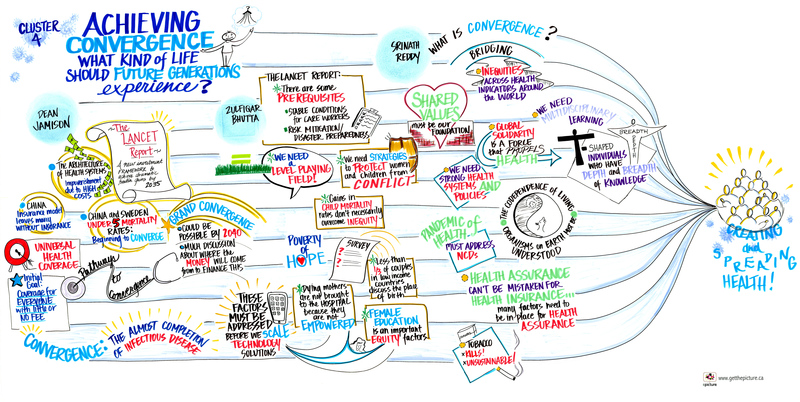 The Summit kindled new ways of thinking, designing, measuring, testing and translating needed to address, from the perspective of health, the nexus of challenges that we all know have become a fact of life in the 21st century. Inspired by the appreciation that health is a concept far broader than simply being free of disease, the foundational theme emphasized two aspects: 1) health is the ability of individuals or communities to (a) adapt, self-manage and thrive in the face of physical, mental and social challenges, including ageing and the presence of incurable chronic disease(s) and multi-morbidity; (b) heal when damaged; and (c) to expect death peacefully; and (2) the notion that some aspects of health are amenable to social contagion. Studies have shown that obesity, smoking, alcohol consumption, depression and happiness can “spread.” Health or its determinants may be amenable to this phenomenon, an attribute that has created new opportunities for scholarship and progress in global health equity and innovation.